Missing teeth can impact not only your aesthetics, but your overall health and function. At Chapel Hill Dental Arts PA, we replace one or more missing teeth, up to a full arch, with dental implants in Red Bank, NJ. Our office is home to an oral surgeon and periodontist, both specialists in implant placement, as well as same day teeth options with our own dentures lab. We offer patients a one-stop shop for brand new, healthy smiles at our New Jersey dental practice. Missing teeth results in loss of density in the jaw bone, leading to resorption. Dental implants not only replace the visible portion of the tooth, but the root as well, restoring stability in bone density by fusing with the tissue. This allows for the dental implant to effectively support restorations and dentures, renewing bite function and restoring confident smiles. At Chapel Hill Dental Arts, we work with trusted labs to fabricate custom dental implant restorations and utilize our dentures lab in office for full arch teeth replacement. Fashioned out of aesthetic materials, these crowns, bridges, and dentures look and feel like natural teeth, a seamless addition to your smile. 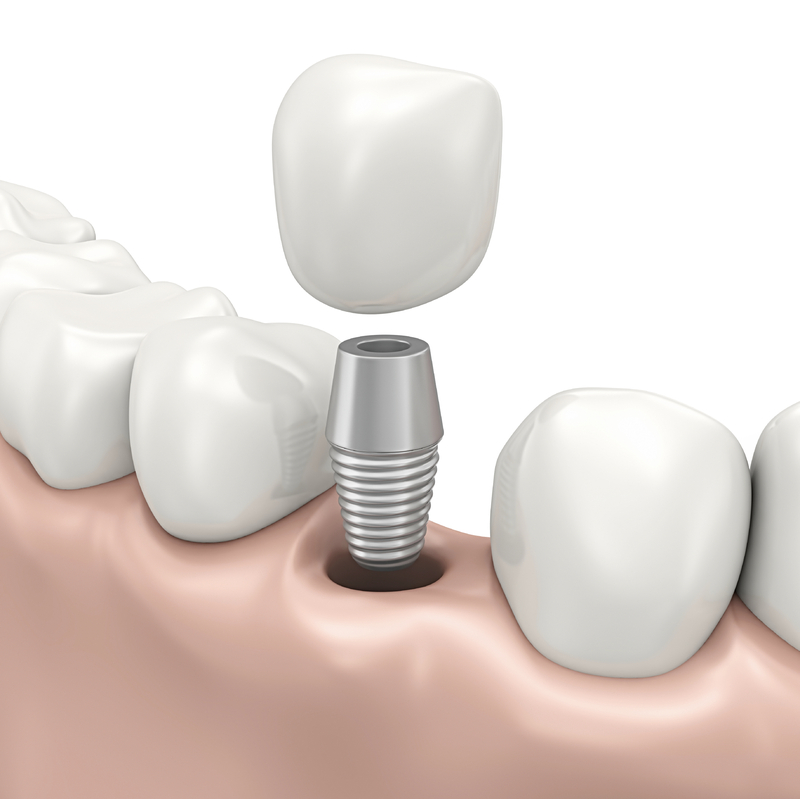 Single Unit Dental Implants – patients who are missing teeth sporadically throughout the smile, or just one tooth, can have them replaced with implant-supported crowns. Replacing these individual teeth will prevent neighboring teeth from shifting out of place, ensuring a healthy bite alignment. Implant-Supported Bridges – to replace multiple rows of missing teeth, the traditional treatment would be dental bridges. However, these restorations utilize neighboring teeth capped with crowns to support replacement teeth. Implant-supported bridges keep surrounding teeth healthy, and do not utilize them as support, while still restoring your smile. Implant-Supported Dentures – We provide same-day teeth in Red Bank through implant-supported dentures. With our in-house dentures lab, patients can have implants placed and restored with custom dentures easily. For edentulous patients who are missing full arches of teeth, the expertise of our implant specialists can restore your smile to full health and function. Dr. Lealon Robinson, Dr. Jeffrey Gold, and Dr. Asim Zaidi provide dental implant placement and restoration for a complete replacement of your missing teeth. An innovative treatment that can strengthen and restore your smiles function and aesthetic. We begin your implant consultation with an in-depth examination of your smile, utilizing a CT scan to evaluate your bone density to rule out pre-emptive procedures such as bone grafts. Once we’ve determined your candidacy, we schedule your implant placement procedure and take impressions of your smile to fabricate your implant restorations. Our dentist, specialists, and staff are here to provide comfortable dental care to help you restore your oral health and function. We provide nitrous oxide sedation options and answer any questions you may have about your procedure. Schedule an Implant Consultation Today! Chapel Hill Dental Arts PA is equipped with the latest in dental technology and offers patients specialty services all under one roof. Patients considering dental implant treatment for their missing teeth can contact our Red Bank practice for a consultation. We proudly provide advanced dentistry in Middletown, Holmdel, and surrounding communities in Monmouth County.